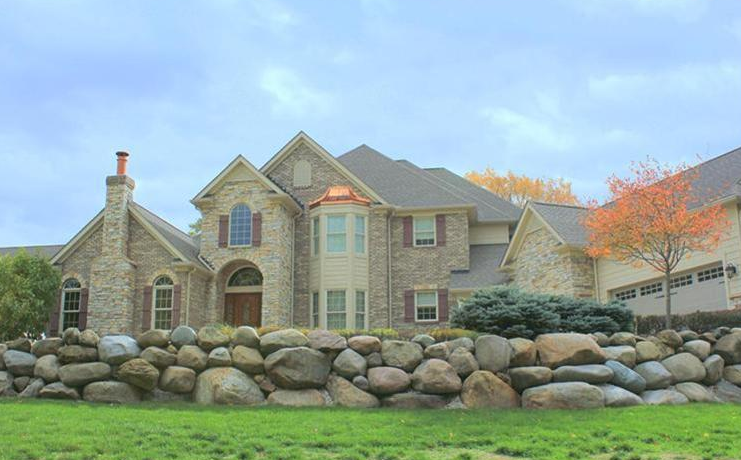 This listing is a Brick two story home that sits on over an acre and a half. It features four bedrooms and 4 and a half bathrooms and offers 4,200 square feet of living area. It sits on a paved cul-de-sac and offers an abundance of wooded areas. Each bedroom offers great space as well as comfort. They are also carpeted. The master bedroom and bathroom are both located on the first floor while the other bedrooms are located on the second floor. The master bedroom features a gas fireplace as well that is two way. The master bath offers beautiful stained glass windows that rest above the jetted tub. 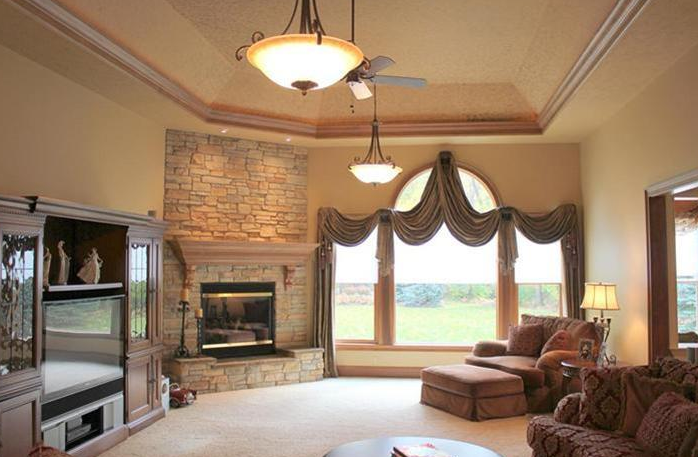 The ceiling in the master area is granite providing the most beautiful and palatial look that an area can offer. The first floor offers a half bath and a full bath with the latest fixtures. The other full bathrooms are located on the second floor. A gourmet kitchen is also one of the top features on the first level. This kitchen provides everything that a cook needs from state of the art stainless appliance to granite counter tops. Beautiful cabinetry and hard wood floors help to complete the beautiful look of this kitchen. Preparing meals in this kitchen will be a great joy. For formal dining or family dining there is a large dining room on this property that will be perfect for the family as well as entertaining guests. A family room and great room are also two of the wonderful rooms included in this home and the great room is equipped with a fireplace. Both the family and great room are carpeted. A sun room and rec room are also included in this home. An office area is also available or can be used to create any space that you need. An attached five-car garage and an added 20 x 14 garage provide all of the parking space that you and your family will need. A fully finished basement is also included in this listing that provides even more space for the family. The home is cooled with central air and it is heated with the gas fireplaces and gas forced air. The roof is asphalt and fiberglass making it durable and lasting. The landscaping on this home is done to perfection. There are a couple of large brick areas that create the perfect place for relaxation and are great places to enjoy the scenery. With this listing access to the golf course is available as well as the health club. It is in close proximity to the park, playground and shopping at the mall. If tennis is your game, you can enjoy the courts that are available. For more information or to schedule a showing, visit our Contact Us page or call (440) 974-7444.